Even the toughest of chimney cleaning chores can't stand up to this Flat Wire cleaning brush by Schaefer. The round flat wire design of this Schaefer chimney cleaning brush features a scraping action that aids in tough, stuck on creosote removal. The durable steel bristles and thread and spindle design provide a thorough clean that helps to dislodge dangerous buildup of creosote that can cause a chimney fire and endanger your family. 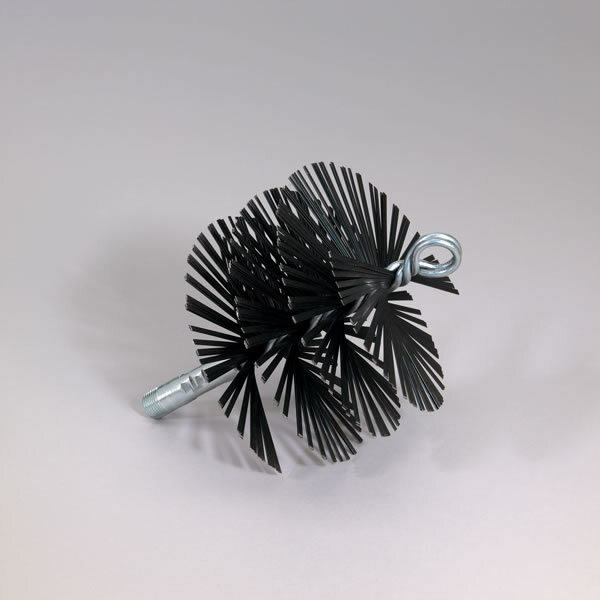 This Schaefer cleaning brush attaches easily quick connects for rapid assembly and is available in two sizes. This chimney brush has a 3/4 in. loop on one end and a 3/8 in pipe thread on the other.